Last weekend, Kilkerrin-Clonberne vanquished All-Ireland kingpins Carnacon in the Connacht ladies' senior final, a triumph that proved sweet revenge after last year's heartbreak. The Galway club lost out in a replay at the same stage in 2017, a result that was particularly tough to take given their performance on the day. Galway inter-county star and club captain Louise Ward recalls a distinct sense of dismay after that result: "We were obviously very disappointed after last year. In the drawn game we went up by four points, then in the replay, we were up by five. We felt a bit hard done by. Now it is just really delighted to get over the line." The match was played in difficult conditions in Ballyhaunis and finished 3-4 to 1-8. Not even 1-7 from Cora Staunton could deter the North Galway outfit. Yet Carnacon had to fight hard to even compete in the competition. They were initially banned from the Mayo Championship due to a walk-out by a number of their players but were reinstated after an appeal. Ward is familiar with several of members of their panel from the inter-county circuit and was delighted to see them reinstated and to get the opportunity to compete against the best. "That team, they have some unbelievable players. Cora Staunton is the best player in the country." I'd said I really want to go at them again. We wanted a chance at Carnacon this year. We wanted to go at the All-Ireland champions, every day you go out you want to be the best against the best. When you are putting it up to them you are delighted, they have been the standard setters in Connacht. We have a six in a row at county they have won how many, 20 club championships anyway. Look you have to give them credit where it is due. They haven’t had an easy year down there either. We tried to stay out of that. A lot of people would have been saying things to us, 'oh Connacht will be yours this year.' All the girls were like 'we want them back in the competition.' It is not going to be a competition if you don't beat the best out there. We were delighted to get over the line, we nearly didn’t! The Ward family is steeped in Gaelic football. Alongside the Galway star at both club and county level is her twin sister, Nicola. They hail from football country Clonbern, the same club that produced All-Star nominee Shane Walsh. Such is their prowess, the Ward sisters are familiar with both the male and female teams at the club. As soon as they could walk they could play. It started in their back garden, under the capable stewardship of their father. Accomplished primary school teachers assisted and the pair soon began to play with the underage boys' sides in Kilkerrin-Clonberne, all the way up to their teens. At the same time, participation with the county increased. Galway under-12s by the age of nine, success quickly followed. 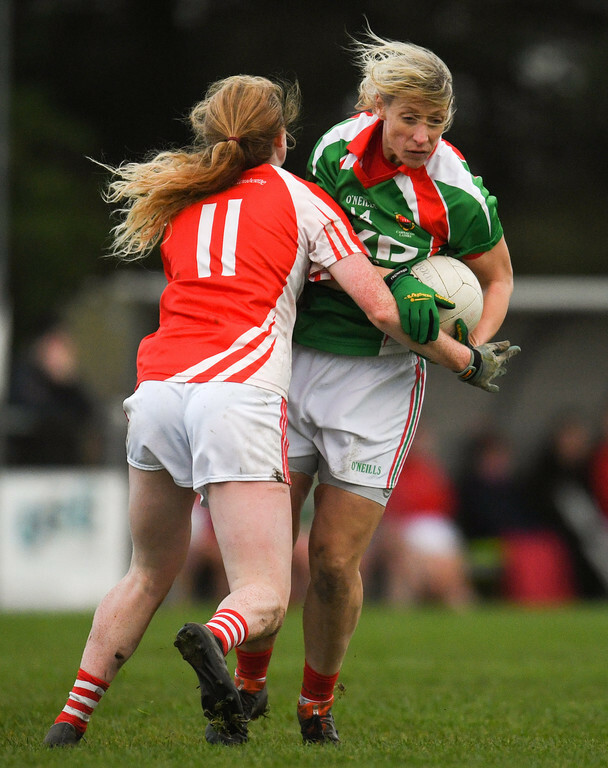 Louise was captain for the An Post Primary School Junior A All-Ireland in 2013 with Glenamaddy, the All-Ireland minor win with Galway in 2014 and a key member of the 2017 All-Ireland Under-21 victory. 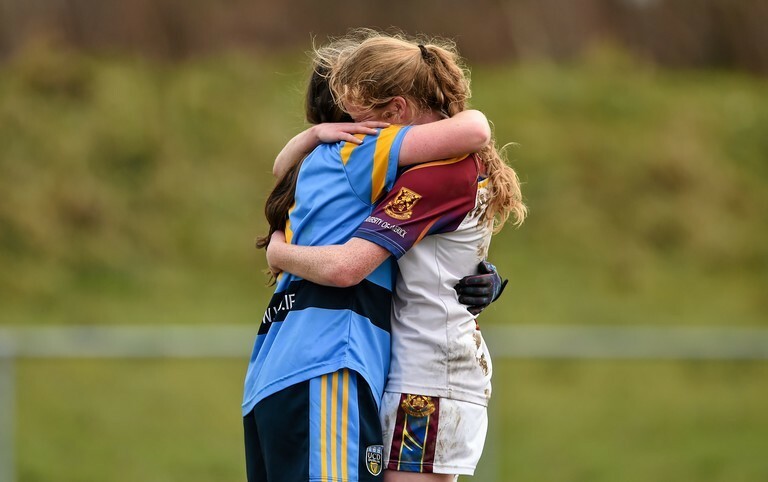 University commitments saw the pair converted from team-mates to rivals for the 2016 O'Connor Cup final, but that antagonism vanished within seconds of the final whistle. At the heart of all their success is the club, and the mood is buoyant after last weekend's accomplishment. "Absolutely unreal. The number of people that were there and support that was there, they all hung around after. It was such a family and a community thing. There are so many sisters and cousins in the team, it is so nice because you play with people you grew up with. My best friends are on the club team. "People I look up to, like Annette Clarke, are on my club team. I looked up to these people since a young age and now I am playing with them." Mourneabbey of Cork stand in the way of an All-Ireland final, with their fixture set for November 18. Another revenge mission, as Ward points out. We played Moyleabbey in the 2015 semi-final. We lost by a point after kicking 13 wides in the second half. The semi-final is weird, it is so close yet so far from a final. We would love to get there but then Mourneabbey pose a massive task, they have some fantastic players and a great manager over them. We just have to see how the game goes and if we do get to a final it'll be mighty.